I hate people who smoke. Actually no, I don’t hate people who smoke, I hate inconsiderate smokers. Those people who will stand next to you and smoke and won’t even try to blow the fumes the other way. I find smoking to be such a dirty habit. Especially so in women. I’m not sure why these young girls think it’s cool to smoke. It’s bad for your health and bad for your bank balance. What I find worst though is those parents who smoke in front of their young children. Do they not realise the damage it does to developing lungs? And it doesn’t set a good example for them growing up. Having said that, both my parents smoked whilst I was growing up. Maybe it did give me a good example as I have never smoked. I am however an asthmatic so it probably did damage my lungs. I should note that both mam and dad have given up smoking due to different reasons. Mam gave up years ago when she realised it was making a hell of a dent to her cash. Dad gave up more recently after his new wife became pregnant with my baby brother. 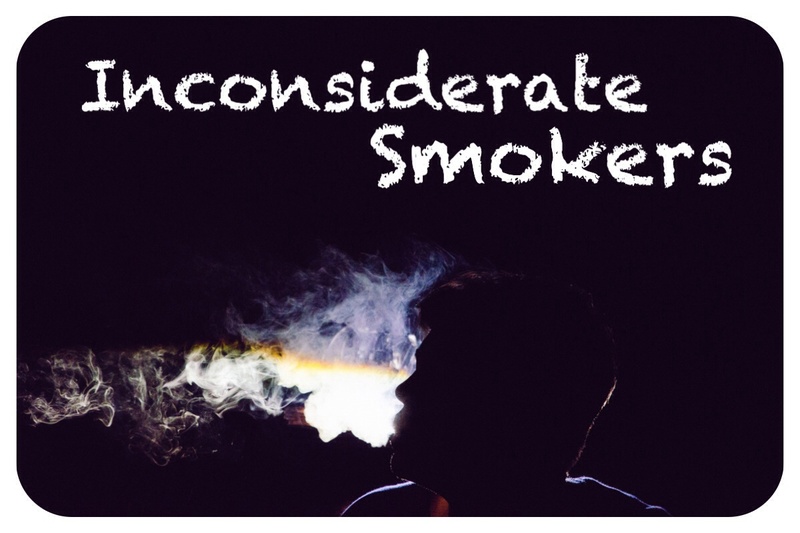 I think maybe that’s why I’m more annoyed with smokers at the moment – I don’t want to breathe in their poisonous gases in case it effects my baby! I do sympathise in part with smokers though. I realise it’s an addiction and some have tried to quit without success. I also don’t agree fully with the smoking ban. Here in Wales they’ve banned people from smoking in public buildings. What this has done is pushed smokers out to the street. I feel that they should’ve brought back the smoking room. At least then those who smoke could stay inside rather than crowd around the nearest exit. I apologise if I have offended any of you smokers. I don’t mean to be offensive I’m just rambling.